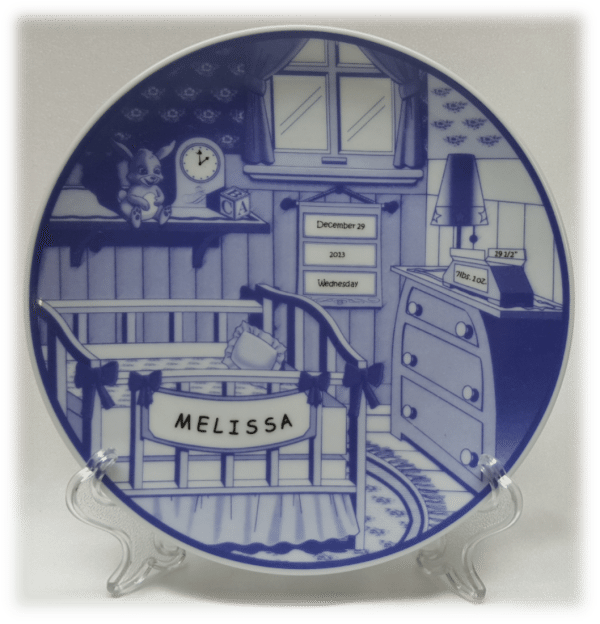 Your keepsake is handcrafted in heirloom quality bisque bone china. Each frame is individually personalized for the new mother and her baby. It comes in a variety of options for decorations. 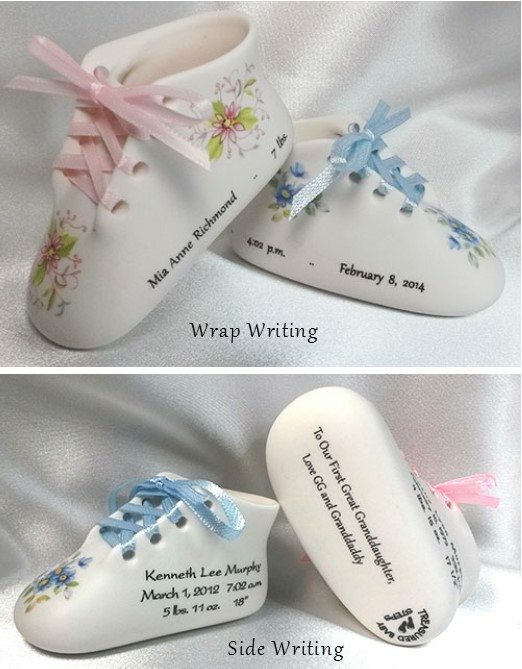 Personalization includes baby's first and middle name and date of birth. Personalization details are written in china paint and fired in a kiln. 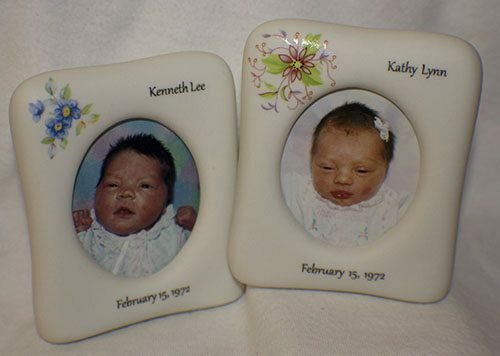 The back of your frame may be personalized with a message of love, baptismal date, doctor and/or hospital name or anything that has special meaning to you. 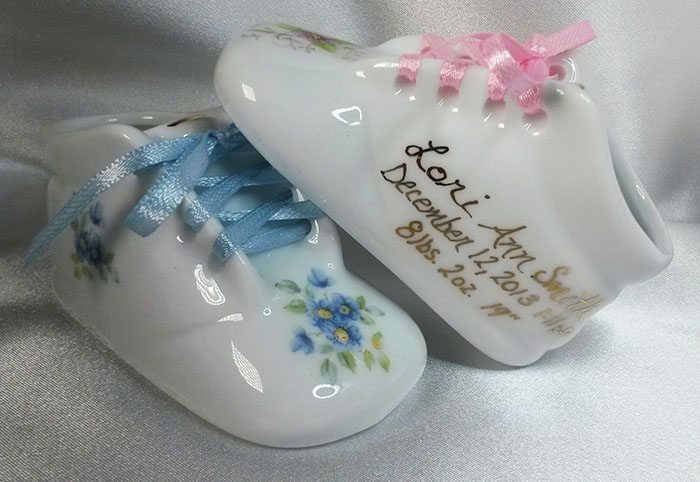 A true Celebration of Birth keepsake for you and those close to you. Start a new tradition. 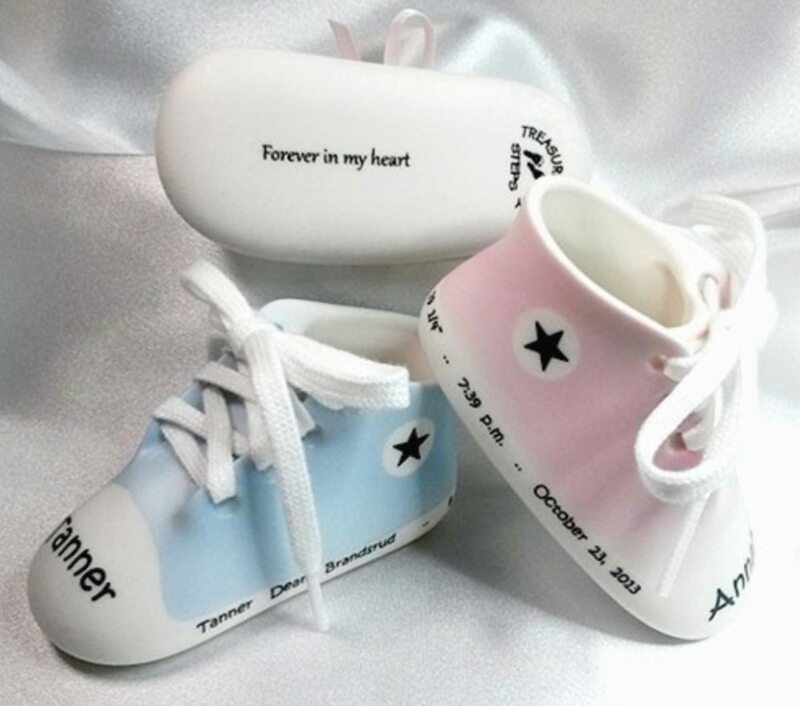 Give a gift that preserves your baby's first and most important step, their birthday. Don't have the baby's birth information? Please click here and we will send a gift code to pass on to the recipient. Need Your Frame Gift Wrapped? $5.00 Gift Card Message included with Wrapping.